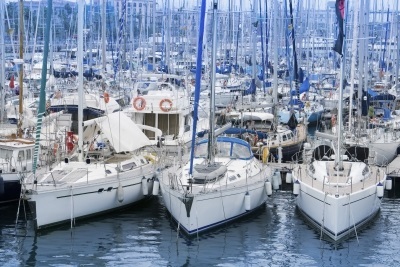 If you’ve been near a boat yard recently, you’ll have noticed the increase in activity...summer is on its way! After a long winter out of action, everyone is ready and raring to get back out on the water. The tarps and covers are being pulled back; harbours are filling up and boat crews are launching into action. There are a few things to cross off your list before you can set sail however. You need to make sure your vessel is properly de-winterised. 1) Have your manual at hand – fluids need changing, parts need replacing and nothing should be changed without checking your manufacturer’s handbook first. 2) Dewinterise the engine – this is probably the biggest job so will therefore take the most amount of time. The oil needs changing, if this hadn’t been done before the winter. Changing the oil is important to prevent corrosion and excessive wear, which can lead to engine failure, loss of power and reduced fuel economy. The cooling system also needs flushing and the antifreeze needs replacing. The last thing is to check and, if needed, replace the batteries. Finally perform a thorough engine test. 3) Fuel System – The tank should have been topped off with gas in order to prevent dilution from condensation and moisture. Ensure the fuel line is attached and not damaged or cracked, as the line can become dry and brittle over the winter months. 4) Inspect the canvas – Check covers, seats and any other vinyl and canvas items for any signs of mildew, dirt or tears. Perform any repairs needed and then give them a good clean with a canvas cleaner. 5) Inspect the hull – check for chips, cracks or blisters as well as chalky residue, which can indicate oxidation. Repair anything that needs it. 6) Clean and wax the hull – use a marine safe cleaner to get the boat exterior clean, and then apply a fresh coat of wax (following the instructions). 7) Test all the electronics – test the radio, gps, compass and any other electronics. Replace any that don’t stand up to the tests. 8) Give the whole boat a spruce – any metal or wood needs polishing up. No one wants a dull boat. It needs to be clean of any dirt and debris. 9) Check the life savers – floatation devices, fire extinguishers, the horn and that the anchor is on board. All this may sound a little daunting, but that’s where the joy of boat sharing comes in. If you were the sole owner of the boat, this would be your responsibility alone. However, if you share the boat, you share the responsibility. The jobs can be shared out between all of the members of the syndicate. You can all come together and make a day of it or alternatively you can put together a rota of the jobs that need doing and share them between the group. It’s important to remember to keep an accurate record of what has been done so that jobs aren’t duplicated or missed. The other option is to outsource the jobs, in which case this cost can be shared between everyone. Every boat is different, so always check your manual for the exact instructions before you start. Once all of the chores are done, you’re ready to set sail. Go out and enjoy that boat.